July was a busy blog month for Rachelle's Window Book Blog. I managed to find content for all 31 days. The guest with the most Distinct Comments is Book Blogger Laurie Jenkins with 18. Laurie wins a paper copy of Michal's Window. Thank you Laurie for promoting your interview and letting us meet new readers. Broken Build beta is completed with 16 people giving feedback! A big thank you to the best beta team ever. Flara Richards won the E-reader and Cate Beauman won the $25 Amazon gift card. But everyone is a winner in my heart and be forever acknowledged and appreciated. Broken Build has gone to my editor's desk for a fall release. In August, I started a new feature called #BookChat. It is a friendly way for authors to introduce the salient points of their books. I've reorganized and tagged all my posts with Twitter Hashtags to make them easier to find. The bonus is that blog tweets going out on my Triberr stream are automatically tagged. The same is true with the #AuthorInterview and #BookReview tags. Your interviews, reviews and Book features are tweeted through my 8 Tribes with a potential reach of 458,577 twitter followers. In addition, I personally tweet your Author Interview through WLC Tweet Teams. But don't leave it all to me, as you can see, those guests who promote the best have the highest pageviews, and that's a win-win situation. And this month, my Alexa ranking has gone below 500,000K thanks to you! And for a fun Author Interview between two of my most HILARIOUS crit partners, check out Lauren Stewart's Out of Blogger Experience on Christina McKnight's blog. 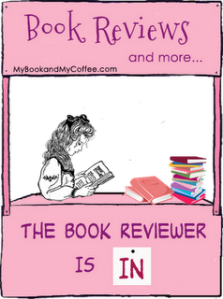 Speaking of Book Reviews, I found a wonderful image from my friend, Ara, at My Book and My Coffee. Every so often, I'll feature and list the books I've accepted for review. Some are purchased by me, others gifted by the author or publisher. If you're a blogger and would like to participate in "The Book Reviewer is In" meme, please visit this link at Ara's Website. Don't forget to add your site in the comments below and we'll encourage everyone to visit too. That's all for now! Happy August everyone! I started Deep as Bone (about 62% through). It's great if you like unsolved mysteries, unreliable narrators, and lurking evil. Wedlocked (16% through) is hilarious. Just don't read while eating or drinking or you'll choke. Good exercise for the stomach muscles while belly laughing. Okay, so which one next? Raise your hands and tell me! What a great idea, Rachelle. You are amazing! How do you come up with this stuff? thanks! well, I guess it comes with being different and quirky. My old friend from elementary school describes me thusly. Thanks, Rachelle! You are the best. I agree with Lauren. You're an amazing font of ideas and support for indie authors. Thanks. :) I enjoy meeting and getting to know all of you. Oh - thanks for the information about the book reviewing and Ara's web site. And, huge **CONGRATS** on Broken Build being "finished" and at the editor. I have both Growing Up Country and Hyde on my TBR lists, so I'm looking forward to those. Whew! Is it ever finished? I am taking a break to divorce myself from the voice of Broken Build. Yeah... that's my procrastination story. Ara is great. Her website is SO-O CUTE!!! How does she get those birdies? Gosh, I have so many other books I want to put there, but it is not credible to put 50 books on your Reviewer is In post. Hi Rachelle! Thank you so much for participating in my book meme. You are so cool, you know that? :D And yes, I agree with Lauren and Carol up there, you have the best ideas. 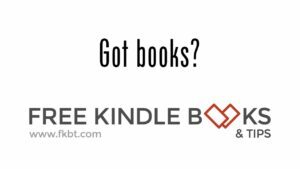 As you know, I do support indie authors, and this is really great of you. Hi Ara, you too are so cool. Your reviews are so personal because you not only talk about the book, but also what you were doing and thinking and reacting. And that's what makes it so genuine. Thanks on Broken Build. I am decompressing. It was based so much on grief and unfortunately my friend was murdered in the middle of revisions which made all of the emotions, the mood swings and anger/suspicion/lashing out all the more realistic. We signed the coffin cover with Sharpie markers, sprayed it with flowers and watched them lower it into the ground. Her father was weeping and howling. I could only imagine how Dave felt and why he couldn't let it go for so long.